In the world of TV shows, Game of Thrones is perhaps the most targeted TV show. Earlier, hackers have been successful in laying hands on this HBO’s most popular TV show and leaking it on torrent websites even before it was scheduled to be aired on television. We had already reported how the entire script of Game of Thrones Season 7 was leaked online. Once again, a leak of a very detailed concept art from the show that depicts a moment from a major scene in the season finale has appeared on Reddit. 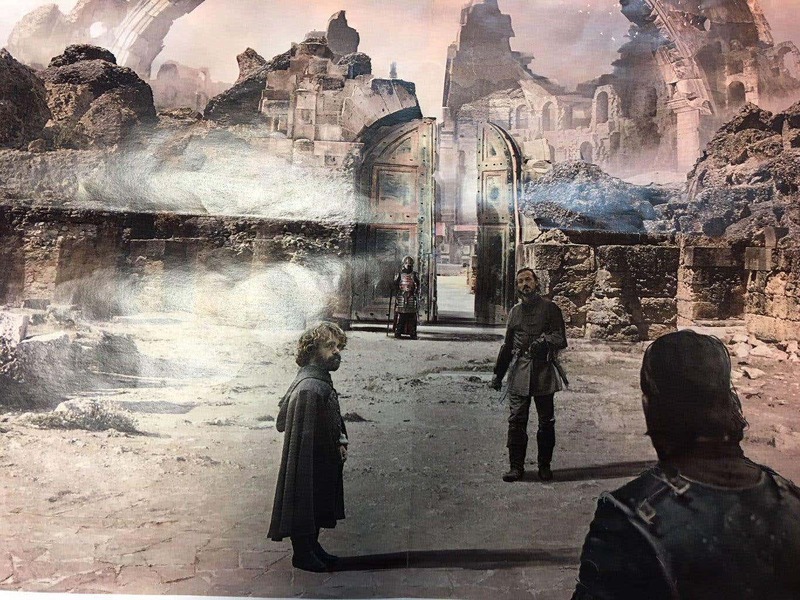 This week two images emerged, of which one showed several characters from the HBO’s fantasy TV show standing near the ruins of the Dragonpit, including Tyrion Lannister, Bronn, a Lannister guard, and likely Jon Snow with his back turned. 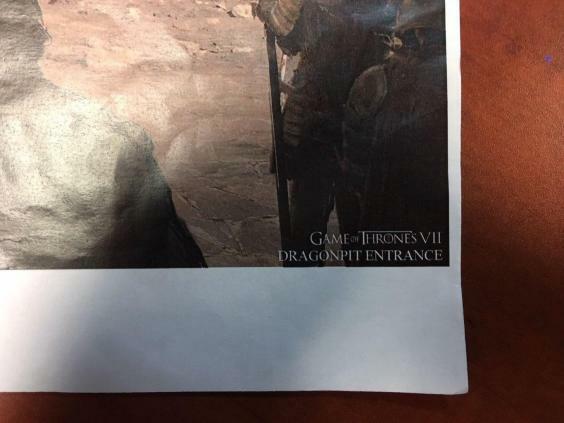 The second photo is a close-up of the picture’s corner, where it reads “Game of Thrones VII. Dragonpit Entrance”. The spoiler blog Watchers on the Wall confirms that the leaked pictures of “Game of Thrones” season 7 are legit. It was found to be common with some filming details from Italica, Spain. The shooting took place back in November 2016. Currently, the Game of Thrones season 7 release date has been officially announced by HBO, which will comprise of seven episodes. However, it appears that IMDB may have leaked the show air date after the website suggested Season 7, Episode 1 would be on television on 25 June 2017. The show debuts this summer on HBO in the U.S. and Sky Atlantic in the UK.